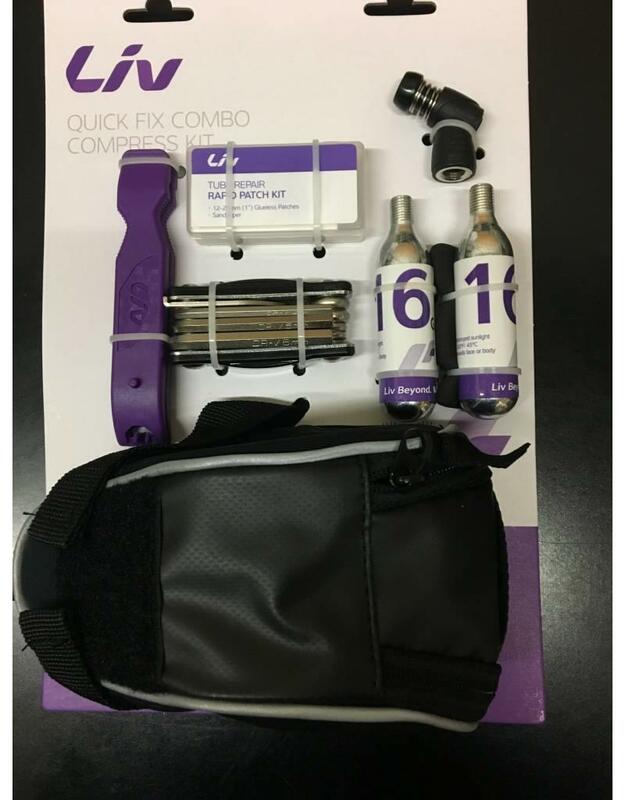 This essential kit from Liv has all the tools for roadside repair. You get the basic tools for a flat tire change and a 9 function multi tool for other small adjustments. 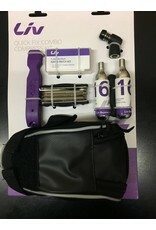 Included in the kit: (2) tire levers, (1) patch kit, (1) CO2 inflation head, ( 2) 16g CO2 cartridges, (1) 9 function multi tool, (1) 0.7L Liv saddle bag.